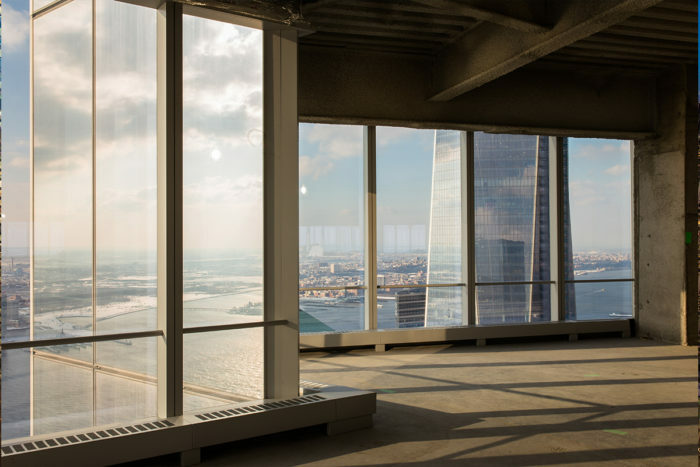 The taut all-glass enclosure of 4 World Trade Center defines the building’s minimalist form, with the quiet dignity that design architect Fumihiko Maki intended. 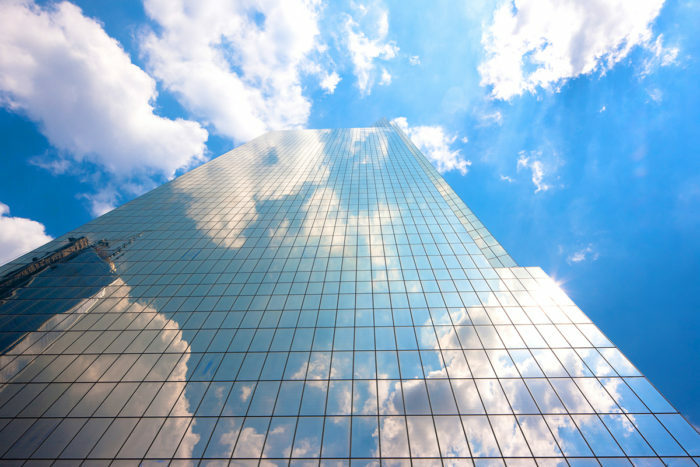 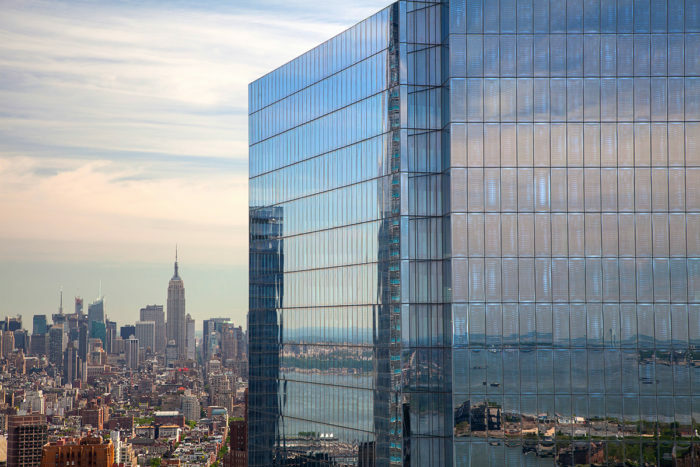 The all-glass curtain wall appears almost ethereal, dematerializing in the reflections of the sky around it. 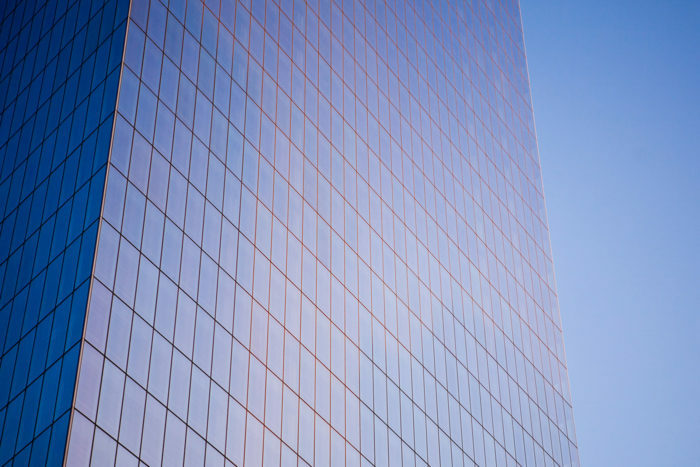 This effect is enhanced by the floor-to-floor modulation of the facade and the custom design of a unique glass formulation. 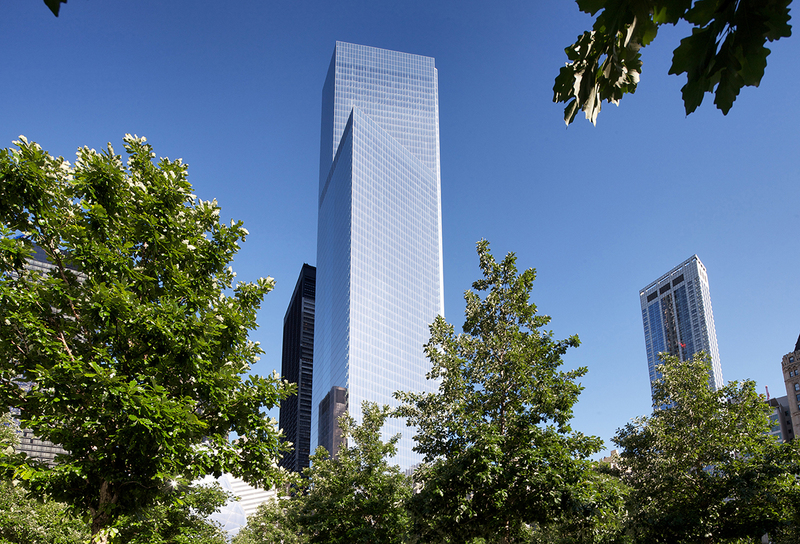 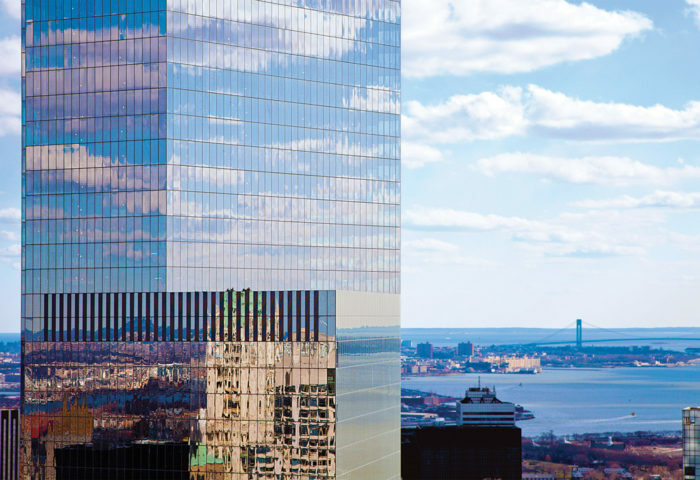 Located in the southeast corner of the new World Trade Center complex, the 61-story tower overlooks the 9/11 Memorial Plaza, but as part of the revitalization of downtown, also integrates seamlessly with the streetscape. 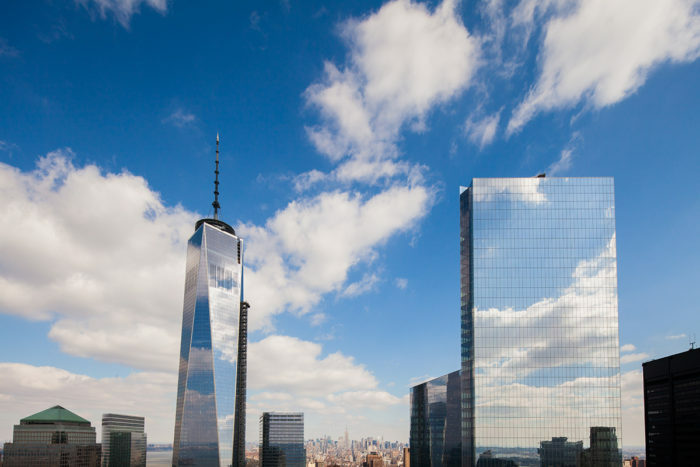 Its podium features a retail portion with three floors above grade and two below, and connects to a pedestrian concourse that leads to subway and PATH trains. 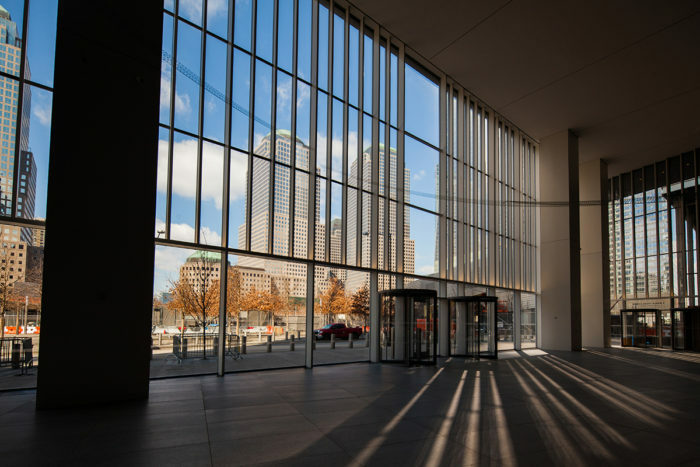 At its base, the tower includes an 85-foot atrium with multiple cascading floors, which combines the building’s transit hall and retail space into a single, unified whole. 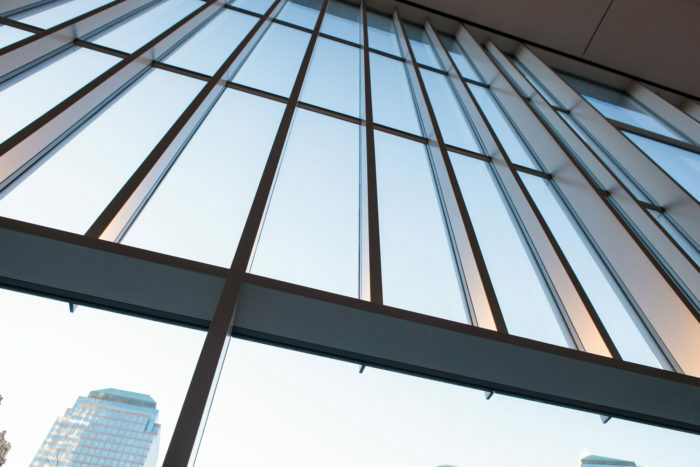 The atrium and lobby are enclosed by a monumental glass wall, supported on solid steel mullions that are custom designed to enhance the expanse and openness of the enclosure, while addressing stringent performance and security criteria. 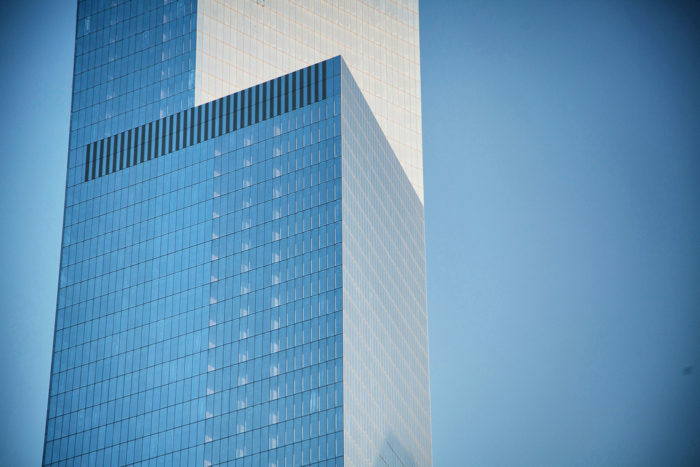 Heintges provided curtain wall and building envelope consulting services during all phases of design and construction. 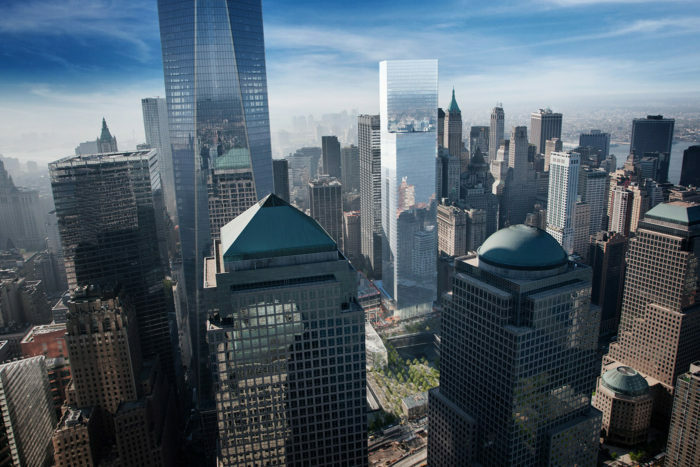 © 2018 Heintges Consulting Architects & Engineers P.C.